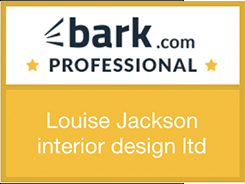 Its officially Christmas over here at Louise Jackson Interiors, which means it’s time to bring out the festive furnishings and currents trends for this year. Collecting some of our favourite images and ideas that have inspired us this holiday season, and we hope they will inspire you, too! This year we are bringing the outside in, taking inspiration from the elegance simplicity of nature. Using decorations we could find if we went foraging out in these chilly winter days! Branches, ivy, holly and pine bushes all accentuated with rich red berries to wrap around our tree’s and mantel’s. A natural festive pallet! Replacing the glitzy bauble we are seeing pine cones, acorns and home-made wooden and paper ornaments become the new centre pieces of your woodland Christmas setting. Keep your dusty, tired tinsel in the attic this year! 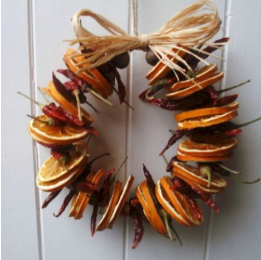 Try adding colour to your home with home-made bunting and wreaths made from dried fruit and nuts. We are also taking inspiration from Scandinavian interiors, a minimalist, tasteful style. Paring woven branches with candles is all you need to make a statement to your dining table this year. Filling vases with pine cones and simple fairy lights, hanging decorations from suspended branches and keeping the tree natural and neat. This refined, modern style will turn your home into a woodland fairy tale Christmas full of rustic charm, warmth and sophistication.